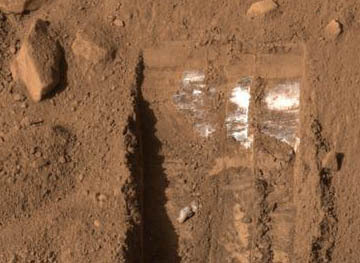 The Phoenix Mars Lander recently found this white substance on Mars. Scientists aren’t sure exactly what it is, but I recognized it instantly. It’s Rocky Road ice cream! Every country needs to have their own currency, and while I don’t quite have my own country (yet) that doesn’t mean I can’t have my own currency. Not owning a country never stopped Monopoly or Chuck E Cheese from creating a money system. My aim is to put a new meaning to the term “currency conversion.” I know people might not be too quick to give up their dollars and euros, but I hope that the masses will see the logic in my system and slowly convert to Ramens. While coming just short of broke while paying the rent on my apartment, I inevitably learned the value of Ramen noodles. When faced with the choice between a bag of chips or a month’s worth of noodles, I quickly determined that eating to live is much more economical than living to eat. I also discovered that Ramen is one of the only diets where you can pretty much live off of the nickels you find on the ground. So I started using Ramens to gauge how much things are worth. For example, a pack of gum could be worth roughly 4 Ramens. Two scoops of ice cream at Culver’s is worth about 25 Ramens. When we move on to more expensive items like, say, a car, the numbers start getting bigger. A typical small car can cost upwards of 100,000 Ramens. So I created a larger unit of Ramens equal to a year’s worth of noodles. Using Ramen Years, that same car would cost about 760 Ramen Years. If everyone converted to my currency, it would be so much simpler for everyone. And unlike paper bills, the money would actually be worth something. Maybe if I save up enough Ramens I could finally buy myself that country I’ve been wanting. I’m beginning to see how talented my mom is. You see, I was the last one to get to the ice cream, and so I had to put it back in the freezer. Ha, easier said than done. With such a large family, our freezer wouldn’t have room for a popsicle, much less a container of ice cream. I was lucky I caught it before it fell on the floor this time, but I squished it pretty good trying to fit it in between the pizza and the frozen peas. I just can’t figure out how my mom does it. My friends and I decided to go for ice cream, so I drove us all to Culvers. After a few minutes of listening to them argue about what kind of ice cream to get, I made up my mind that I didn’t want to be the one doing the ordering at the drive thru. So I began stirring up this crazy idea in my mind, and once we got to Culvers I stopped and put the car in reverse. My friends thought I was crazy…until I pulled right up to the drive thru speaker backwards and let the one in the passenger seat worry about the order. Then they knew I was crazy. I got some pretty scary looks from my friends and I got punched in the shoulder a few times because they didn’t like everybody staring at us, but at least I saved myself all the trouble.